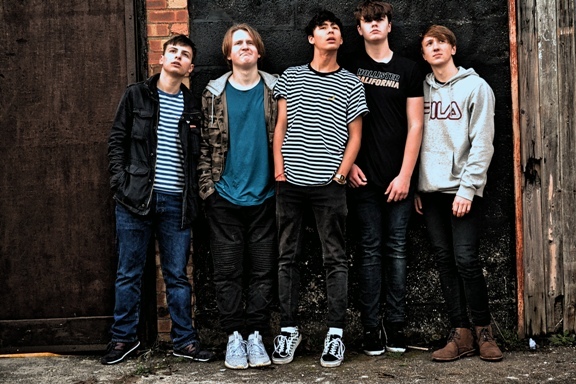 Type 22 are a diverse, original, english 5-Piece Rock Band based in Northamptonshire, England. The group of young students perform music covering a wide range of genres. Highlighting elements from indie to punk and everything in-between. The band originally formed during autumn of 2017 and their current line up has been performing together as of September last year. Integrating a digital synthesiser into their sound, Type 22 blast out very unique performances. With Harry Wren and Cameron Godfrey leading the show from the front, along with Luke Moore, Tommy Roberts and Lewis O’Grady. The group recently released two debut singles, on all music platforms, during December of 2018 called ‘Rot’ and ‘Haunt Me’, Both of which will be featured in their live set. Type 22’s live shows are full of energy and volume. The highlight of performing live for the band is presenting their music and distinct style to the audience around them. No matter how big or small.